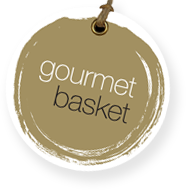 Once an order is shipped by Gourmet Basket Clause 16 of our Terms and Conditions applies. This states that you have up to 7 days to advise us of a missing gift. If you notify us within 7 days of a missing gift we can initiate an investigation with the courier company to determine details of the delivery, including location, and time of day. If we have proof of delivery from our couriers, which shall be supplied to you, then no refunds will apply, as what happens after a gift is delivered to a premises is beyond our control. Note,our couriers will not leave a gift if they deem the location to be insecure. Instead a Sorry We Missed You card will be left in the letter box and the gift will be taken to the nearest post office for pick up by the recipient the following day.